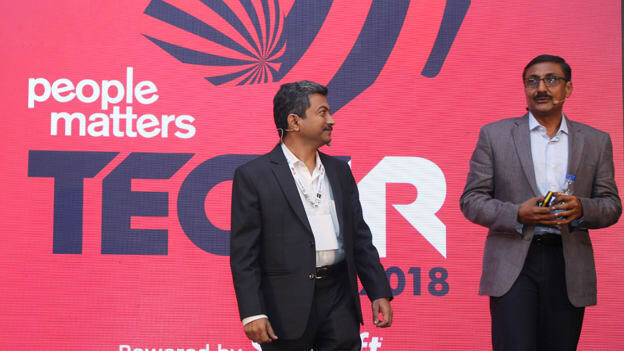 At TechHR 2018, leading industry experts shared their ideas on how companies can build learning models at scale. How do you create skill transformation models at scale? Is there a framework that companies need to be aware of? This was the question that industry experts Arun Rajamani, Country President, Pluralsight and Sandeep Gupta, VP Workforce Planning at ITC Infotech sought to answer on Day 1 of TechHR 2018. Citing research that Pluralsight had conducted, Mr. Rajamani noted that 70% of the skills within an organization are commodity skills and 10% are future ready skills. And if companies need to build a successful model for skills transformation, they needed to map the skills within their company and benchmark them against the landscape of skills. 1) The way companies need to go about building skills at scale is to identify skill adjacencies, which means identifying which all skills that are closest to the role of a person. For example: if a programmer is skilled in certain languages like Java, Python, which other languages can he or she easily pick up? 2) Another step in the process is to re-define role or skill architecture. While five years ago, companies would go outside to find scarce talent, it is becoming increasingly difficult to do so in the current business scenario. Skills are hard to find. And often companies need talent that understands their business context. This is why it is best to train your internal talent on new skills on a 3-month rolling plan. Speaking about ITC Infotech’s journey, Mr. Gupta spoke about 5-Ds which companies need to think about which engaging in a skill transformation exercise: Domain, Data, Digital, Design, Differentiated. The skills and roles in the company were identified by: Customer view, field sales input, current demand, emerging technology trends, and NASSCOM defined roles. These skills were prioritized by a time horizon and segregating internal and external talent spanning 18-24 months. The company also defined five proficiency levels – Learner, Deliver –Mentor, Deliver – Independent, Mentor and Expert. The focus was on training, delivering and practice. The modes of learning include traditional modes such as – instructor-led training, byte-sized learning, e-learning. Mr. Gupta also spoke about the best practices that the company employs including: 1) Using technology to prevent productivity loss, 2) Balancing continuous learning and focused learning 3) A marketplace model to keep learning in sync with technology changes and 4) a rolling learning calendar.